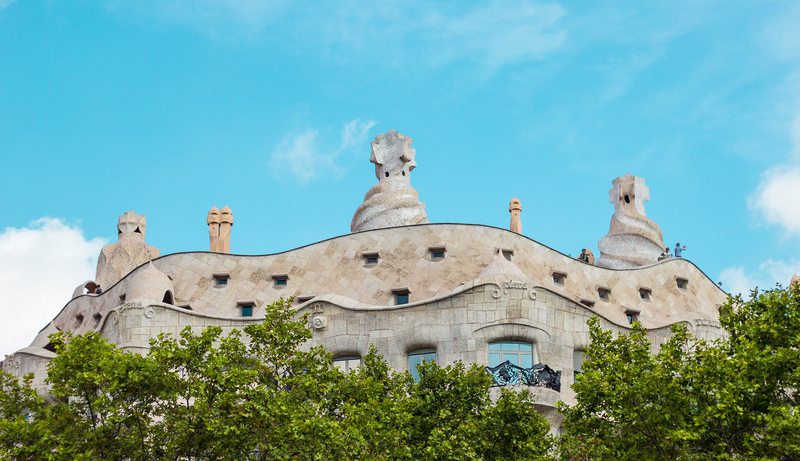 Barcelona is one of the most tourist cities in the world due to its culture and places of interest. Camping el Pinar, located directly next to the beach, is the perfect option to visit Barcelona, as it combines the best of both worlds: cultural and tourist visit to Barcelona and vacations directly on the beach. Camping el Pinar is located in Blanes, a town on the Costa Brava, just 70 km from the centre of Barcelona and with excellent communications. Barcelona is an ideal city to visit with your family, a fantastic city to stroll, go shopping, discover surprising places or simply enjoy good gastronomy. From the information point in Camping el Pinar we can give you the best tips and ideas to enjoy a perfect day in Barcelona. You can also book and buy tickets for some events or transport services, we will also give you all the information to access Barcelona in the most simple and direct way. In Camping el Pinar you and your family can enjoy the beach tourism with the cultural simultaneously. Do not hesitate any longer and enjoy in our campsite a unique environment that combines all the activities of the city and the tranquillity of the beach in the wonderful Costa Brava! The campsite offers a large number of facilities to visit Barcelona. In our reception you have all the support and information to plan your visits to Barcelona: you can buy tickets for the tourist bus, acquire information about the schedules of the museums and the most interesting points to visit, get tickets for the Joan Gamper Trophy (August) , to watch Football Club Barcelona matches and to visit great monuments such as the Sagrada Familia or Park Güell. In addition, Barcelona is a city also known for fashion. It is ideal for shopping: you will find from the most luxurious shops to the most hippies. The sales begin during the month of July and end at the end of August, so the campsite is an ideal point to spend your vacation on the beach and, at the same time, to enjoy an excellent day of shopping in the big city. 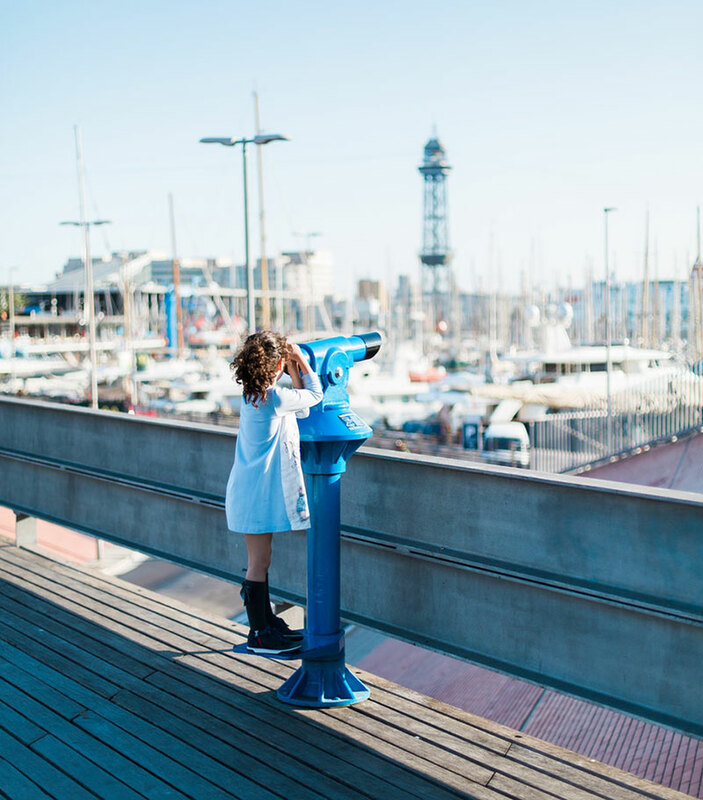 La Barceloneta: the closest beach to the centre of the city. It has many bars and restaurants. L'Eixample: ideal for shopping. Here you will find Casa Batlló, La Pedrera and La Sagrada Familia. El Born: very close to the centre and the beach. Lots of nightlife, restaurants and bars. Barri Gòtic: centre of the city. Ancient and narrow streets with typical and picturesque architecture. Good restaurants and lovely cafes. Olympic Port: modern and elegant area of ​​Barcelona renovated during the 1992 Olympic Games. Direct access to the city's beaches. Tibidabo: highest mountain in the Collserola mountain range west of Barcelona. It has beautiful views over the city. In this mountain is the amusement park with the same name and the Expiatory Temple of the Sacred Heart. Plaza España: here you can visit the National Palace. La Rambla: the most famous and busiest street in Barcelona. The train station of Blanes is located 4 km from the campsite, it is easily accessible and has a parking area. This station is the only one on the Blanes-Barcelona route that does not pass through the beach. Thus, traveling by train has the advantage of allowing you to contemplate the beaches along the Maresme coast. From the train station in Blanes, trains run to Barcelona every 30 minutes. The journey time is around 1 h 15 min. It is also possible to visit Barcelona by bus. The bus station of Blanes is located 2.2 km from Camping el Pinar and can be easily accessed on foot or by car. See information about the bus here. In addition, if you want to visit the main points of the city quickly and efficiently, without having to walk a lot or find yourself the tourist attractions of the city, you can take the Tourist Bus. Clot Aragó: leaves you near the Sagrada Familia. If you do not want to walk, from here you can take the metro and visit the emblematic building of Antoni Gaudi (L2, lila) or the Plaza de las Glorias (L1, red). From here it is also possible to take the metro to get to the city centre (L1, red). Arc de Triomf: if you want to visit the Arc de Triomf of Barcelona. Also, from here you can take the metro L1 (red line) and get to the city centre, where you can visit the famous Rambla, a large number of museums and the Cathedral of Barcelona. Plaça de Catalunya: if you want to go directly to the city centre, with direct access to the square. Sants: is the furthest from the centre of Barcelona and the closest to the spectacular FC Barcelona field.